Meet Mitsu: An adorable, twenty-three-pound, one-eyed Shiba Inu who specializes in being a drama queen and acts like the biggest diva around. 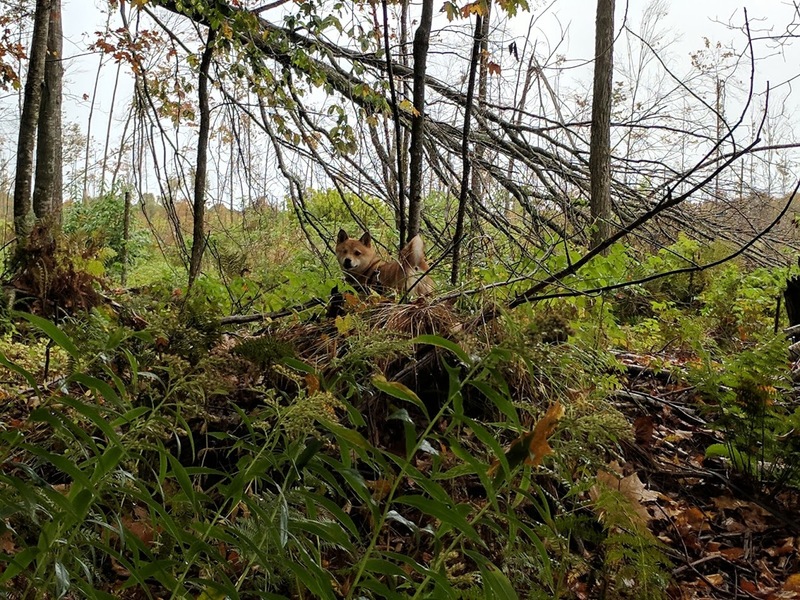 Her cute appearance may lead you to believe that she is a house dog first and foremost, but behind that fox-like appearance is a hunter who hasn't lost touch with her primitive roots. 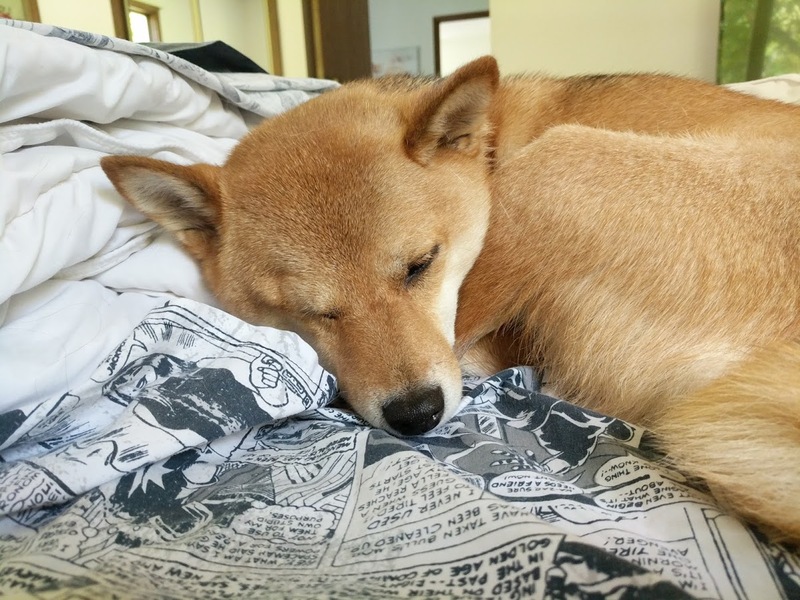 Every morning we follow the same routine: she jumps down from the cozy bed where she curled up in luxury and comfort all night. She lets me put on her pink collar and harness her for a walk. We go outside, she takes her sweet time to walk the pavement to the grass, and then we approach the woods for our morning hike. 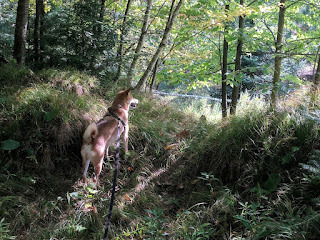 As soon as we head down one of the trails, Mitsu grows increasingly energetic. She starts to smell the air and listen to every crunching leaf and snapped branch. She picks up her pace and responds immediately to every sign of movement. If she can, she pounces at moles and mice, tackles rabbits, and flushes deer. 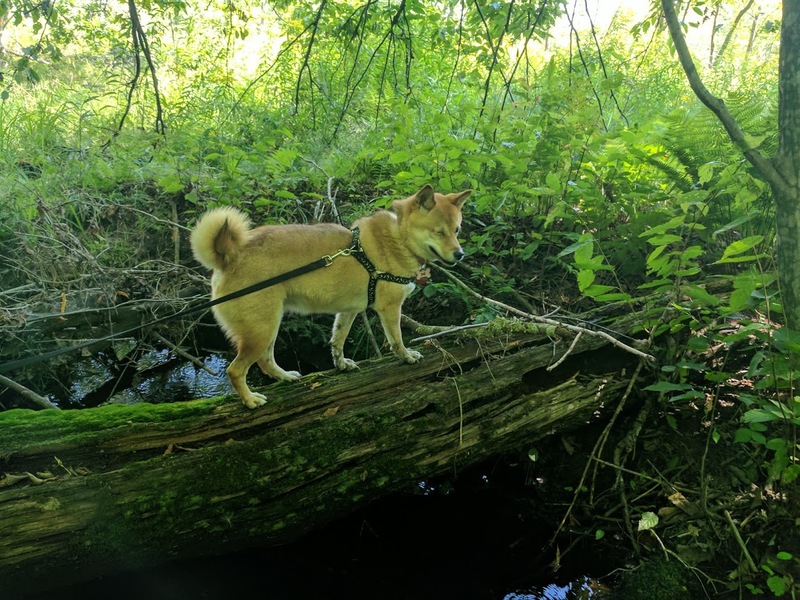 She wades through water, travels through thick foliage, and climbs hills and rocks. 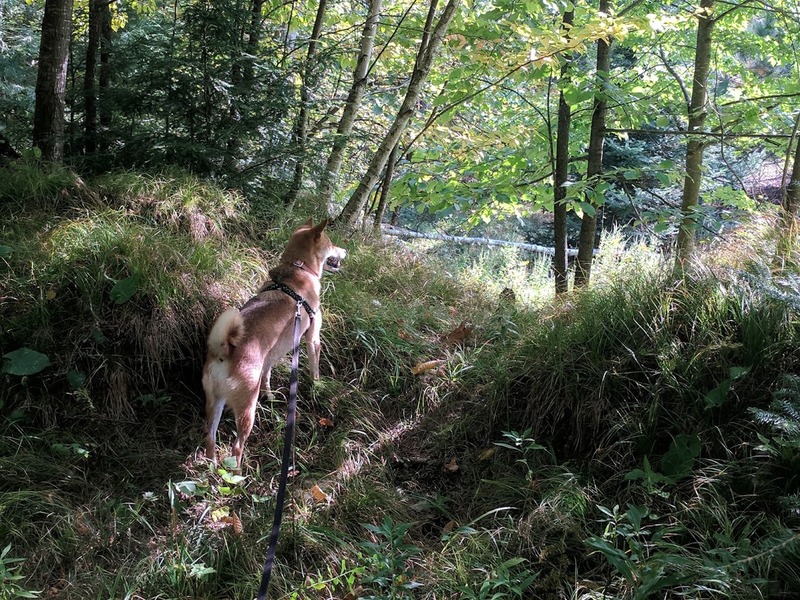 As far as hiking buddies go, Mitsu is the ideal. Of course, that love of the outdoors comes with a price. Specifically, the price of potentially losing her in the woods if I get too complacent. In the seven years of her life, we have never had a close call - until recently. On one of our morning walks in our woods, dragging her long leash as usual, she caught a scent and ran to track it - and I failed to step on her long leash to prevent her from chasing that smell. It was a dangerous mistake. Allow me to explain why: we recently moved from Texas to the Wisconsin Northwoods. It's a beautiful place to live, but it means that sometimes when walking outside my house, I encounter a black bear. It means I fall asleep to the sound of coyotes howling and, when I am lucky, even occasionally a chorus of wolves. 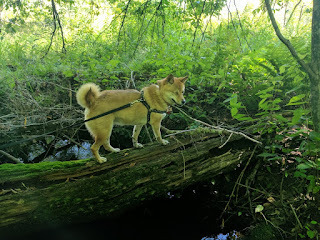 It means that no matter how good Mitsu is at traversing the wilderness, she is still one small dog in a huge forest where other, bigger animals are hunting to survive. 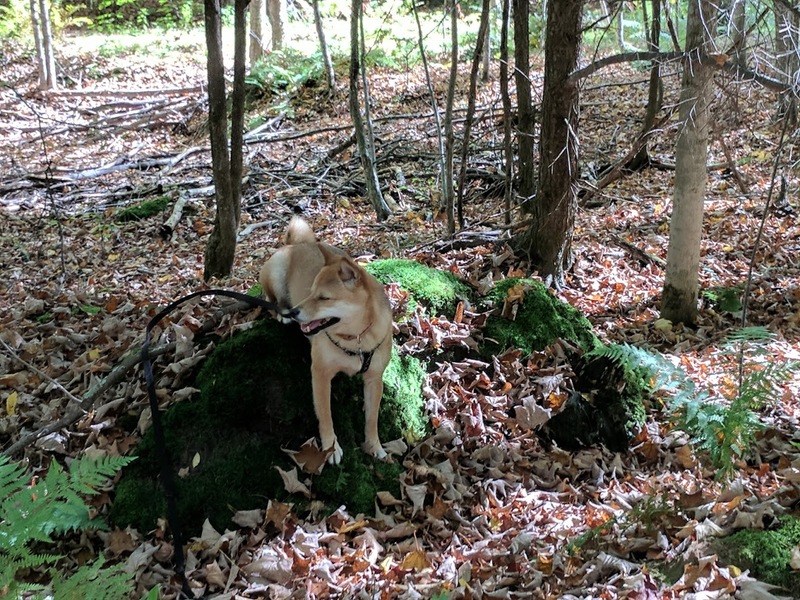 After three hours of searching, calling, squeaking a favorite toy, and going deeper in the woods than I ever had before, I feared the worst. I went home because I hadn't eaten that morning and I was beginning to feel it. I grabbed something quick and ate outside, watching the main trail, and thinking about all the horrible ends my dog would meet. 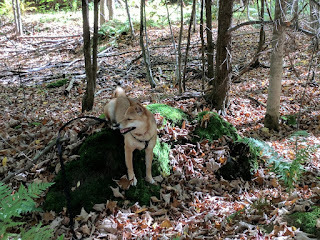 And then, just like that: along came Mitsu, perfectly fine, still dragging her long lead, tired but unharmed, looking at me as though she just had a peaceful walk in a safe neighborhood suburb, rather than a 3-hour romp in the deep woods. She found her way home, and walked right up to me without any alarm or relief. Lessons were learned that day, but not by Mitsu. No, the only one who learned a few lessons was me. I learned to be more careful and alert to both Mitsu and my surroundings. I learned that I shouldn't get complacent, that hiking in the woods is not the time or the place to get lulled into the comfort of routine. And I learned that if I happen to make another mistake in the future, I should have a little more faith in my dog. This was a guest post by Jenna Savage, so go ahead and let her know how much you enjoyed it in the comments. Also, if you like the blog follow us on Facebook to keep up to date. This was a guest post by Jack's friend Jenna. I'll update the bottom of the post to annotate that.